¡O consíguelo por 6000 Kobo Super Points! 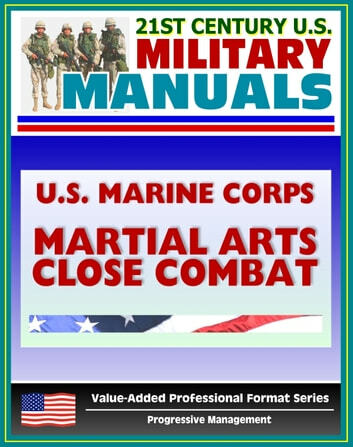 Part of our value-added professional format series of U.S. military manuals, this U.S. Marine Corps manual provides the tactics, techniques, and procedures of Marine Corps close combat. Today's Marines operate within a continuum of force where conflict may change from low intensity to high intensity over a matter of hours. Marines are also engaged in many military operations other than war, such as peacekeeping missions or noncombatant evacuation operations, where deadly force may not be authorized. During non-combative engagements, Marines must determine if a situation warrants applying deadly force. Sometimes Marines must decide in a matter of seconds because their lives or the lives of others depend on their actions. To make the right decision, Marines must understand both the lethal and nonlethal close combat techniques needed to handle the situation responsibly without escalating the violence unnecessarily. Marine Corps Reference Publication (MCRP) 3-02B, Close Combat, provides the tactics, techniques, and procedures of Marine Corps close combat. It also provides the doctrinal basis for the Marine Corps Close Combat Training Program (MCCCTP). 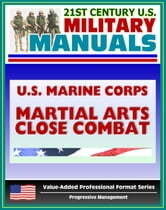 This publication guides individual Marines, unit leaders, and close combat instructors in the proper tactics, techniques, and procedures for close combat. MCRP 3-02B is not intended to replace supervision by appropriate unit leaders and close combat instruction by qualified instructors. Its role is to ensure standardization and execution of tactics, techniques, and procedures throughout the Marine Corps.